Mr. Rossler has helped guide Rossford Schools to five consecutive Auditor of the State Awards. He is currently serving his fourth term on the Ohio School Employees Retirement System Board. The Speaker of the House of Representatives and the President of the Ohio Senate appointed Mr. Rossler for a term ending Nov. 4, 2020. 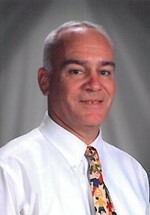 He has also served as regional president of the Ohio Association of School Business Officials. view the Rossford Schools online checkbook. located on the Ohio Department of Education website.